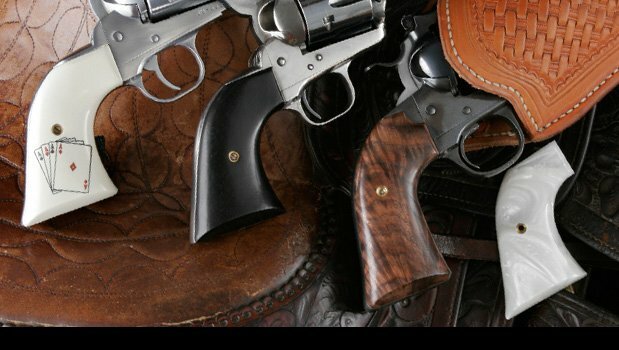 Specialty Products are indeed special at Hogue, Inc., You can treat your hands and your eyes to a variety of great grips for Cowboy Action Shooting, express your personal style with a custom fancy hardwood texture grip or opt for a striking scrimshaw design on your revolver or 1911. Great ideas on how to trick out your sidearm with a unique Hogue grip in a variety of materials, textures and custom designs are yours with just a few clicks on the images below. Go for it!